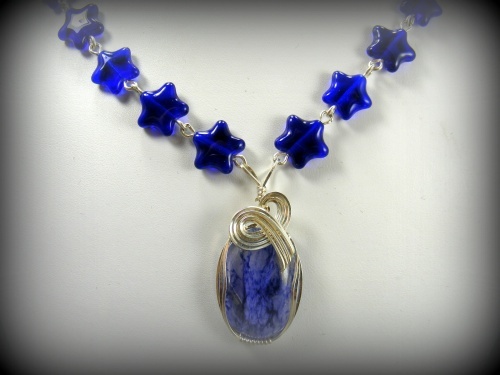 This whymsical and stylish necklace made of cobalt crystal stars and has a focal of blueberry quartz. Sculpted in sterling silver curls, this piece is for all you blue lovers. Measures 17" long and has a complimentary pair of matching earrings.